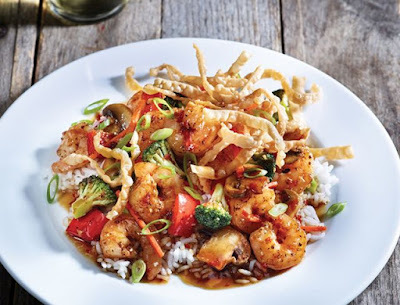 Applebee's adds three new dishes to their "better-for-you" Pub Diet menu to start the year. The three new dishes are each 650 calories or less and are described as "new grill and bar favorites made a little better for you." They include Shrimp Wonton Stir-Fry, Hot Shot Whiskey Chicken, and Grilled Onion Sirloin with Stout Gravy. The Shrimp Wonton Stir-Fry includes shrimp, stir-fried veggies, housemade dumpling sauce, wonton strips, and onions over white rice. 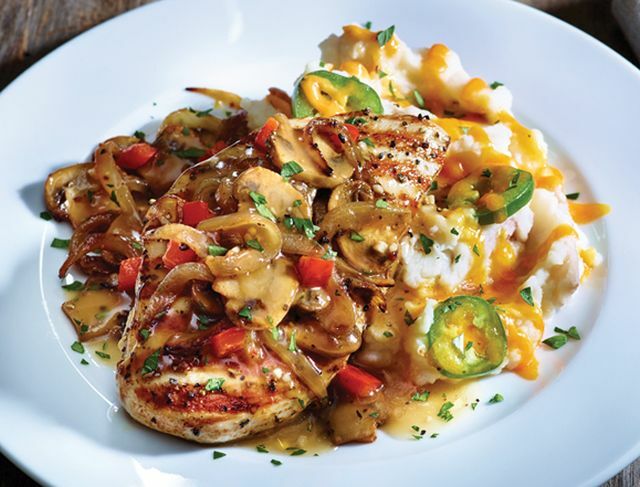 The Hot Shot Whiskey Chicken features a grilled filet of chicken topped with whisky onion and mushroom, peppercorn, and rosemary pan gravy. It comes with cheddar jalapeno-topped mashed potatoes. 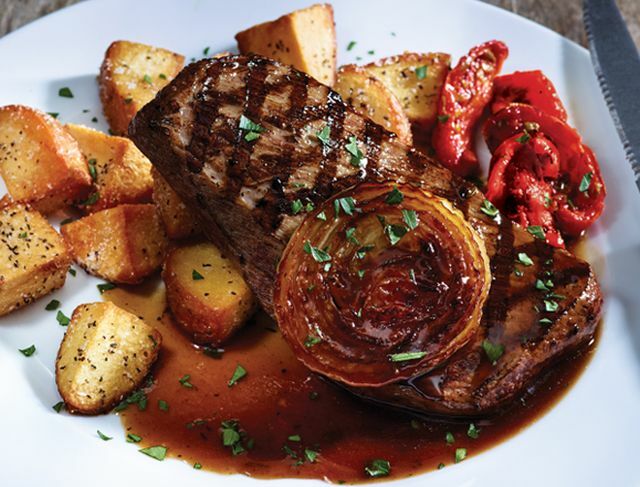 The Grilled Onion Sirloin with Stout Gravy consists of a 7-oz sirloin steak, grilled onion, roasted tomato, crispy red potatoes, and stout gravy. The three new dishes are available for a limited time with prices starting at $9.99 at participating Applebee's restaurants. The Pub Diet Menu was introduced last year as a pub-inspired menu of better-for-you-dishes.